A REAL business. With a REAL factory. That utilizes REAL scientific procedures. 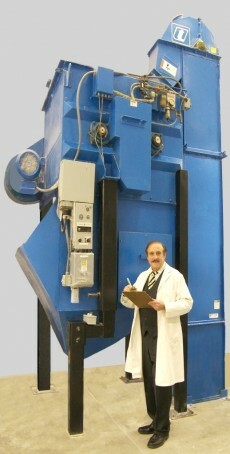 That employs REAL state-of-the art manufacturing. That produces REAL QUALITY products. Each major component used in Aqua Craft Products® marine salts is individually extracted and purified to our exacting specificiations from natural sources. Minor and trace elements are AR (analytical grade 99.9% pure). Specially Selected™ grades of ingriedients allows for the total control of the trace impurities in our final formulations. Thus, ACP™ salts will not produce unexpected or unwanted algae blooms. ACP™ marine salts are temperature stable when mixing with RO, RO/DI or clean municipital water supplies. Aqua Craft Products® chemically stable marine salt formulations safeguard against potentially hazardous temperature reactions. Salts that splatter, bubble and heating up when mixed with clean fresh water is a result of chemical instablility. 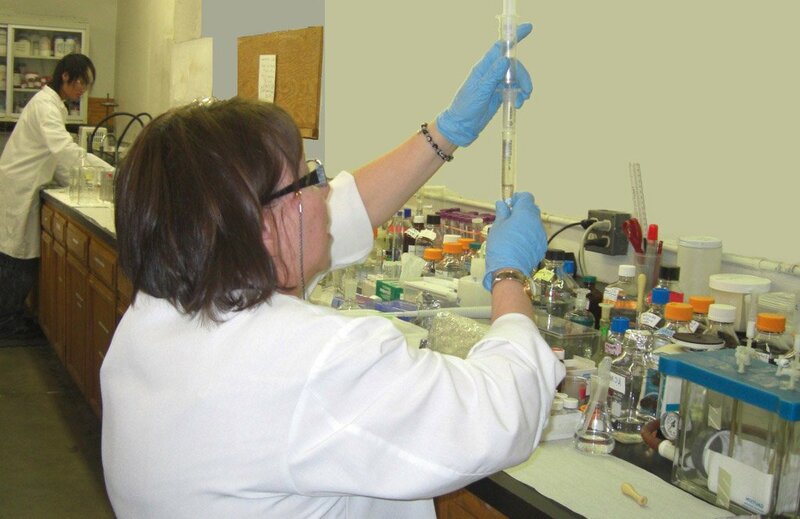 Aqua Craft Products® employs a variety of scientific methods to ensure each item offered has been researched, developed and exhaustively tested. 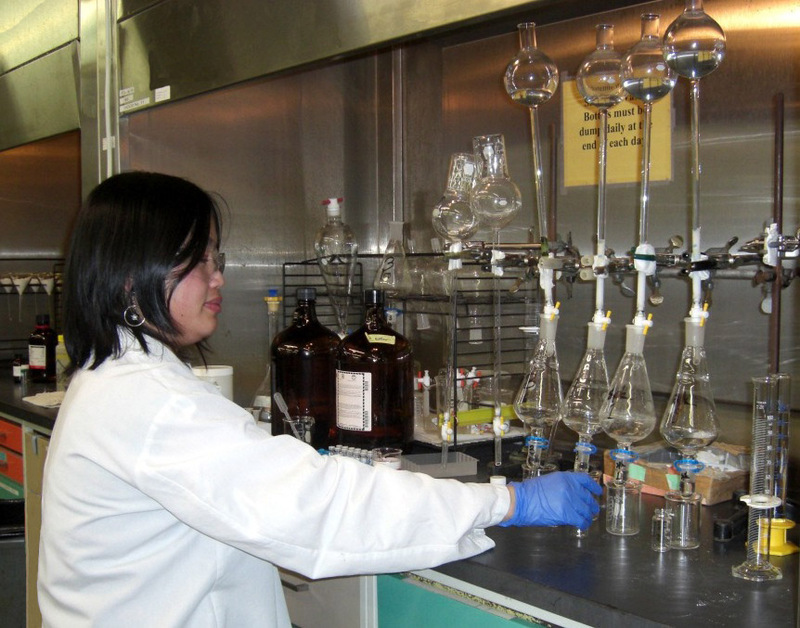 All ingredients are tested and evaluated in our Aqua Craft Laboratory™. 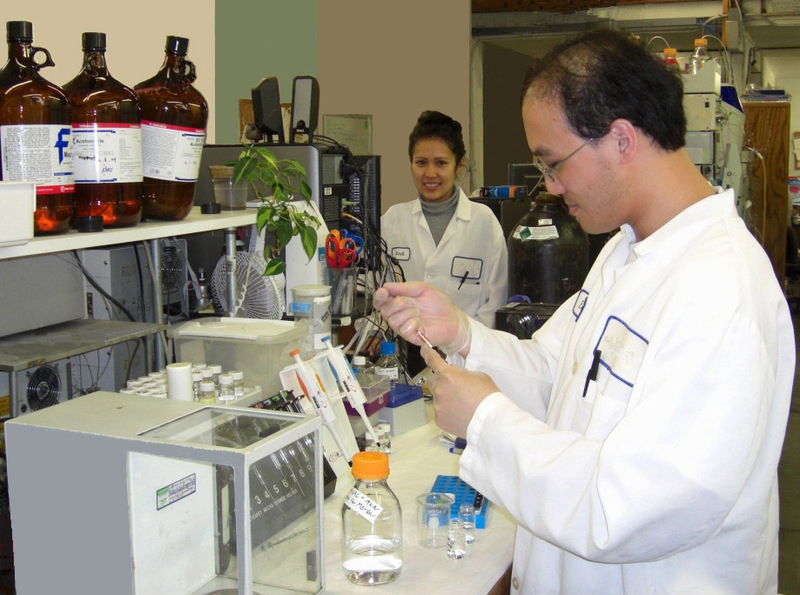 The services of multiple outside independent EPA certified laboratories are used on a regular basis. Ingredients for both fresh water items, marine salts, additives and supplements are evaluated for unacceptable impurities. 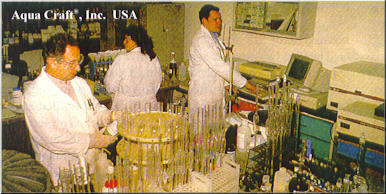 Each component is evaluated for colour, purity and consistency prior to use in finished goods. 2400 pound bulk sacks of ECO SEA® destined for a multi-million gallon dolphinarium. 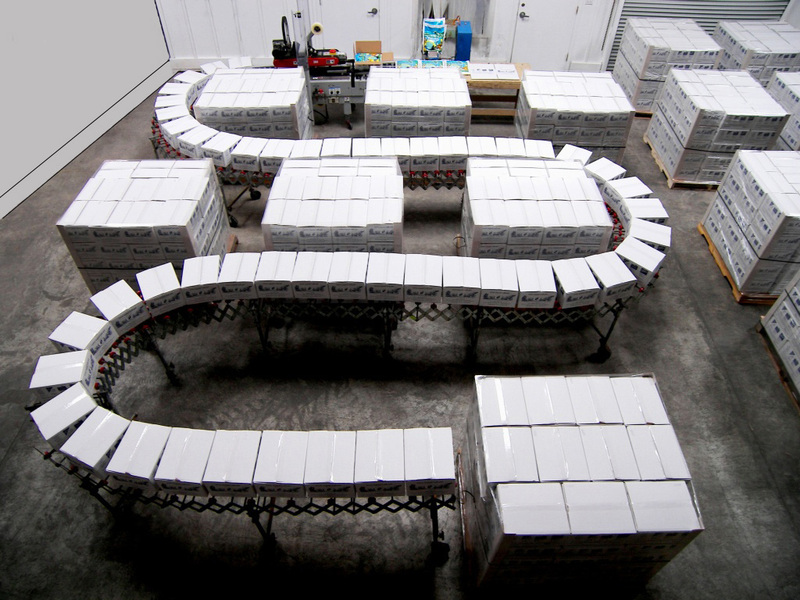 Production line in configuration C for marine hobby sizes of Marine Environment® dual phase™ formula salts. Daily capacity for 20 pallets, each with 55 cartons with 3300 packages of 50 US gallon size, for a total of 1100 cases per work shift. Photo shows the exclusive Aqua Craft Products® fluxing amalgamator. This precision compunding mixing device harmonizes over one ton of high purity complex chemistry into an ultra consistent homogenous blend in 30 seconds.